Here is a little pick-me-up on a gloomy Monday. 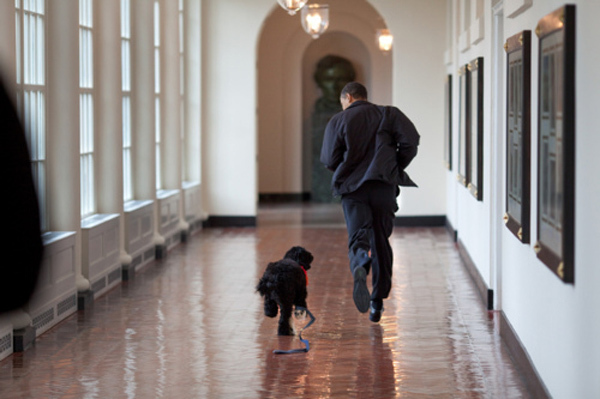 I love this photo of Obama and Bo. Too cute. P.S. Have you seen the White House Christmas Card this year? You can check it out right here. Mine is obviously in the mail 😉 One more week until Christmas! Hoping this week goes a little faster because I cannot wait to be home for the Holidays!